And the twelve gates were twelve pearls; every several gate was of one pearl; and the street of the city was pure gold, as it were transparent glass. In the jasper is figured the truth of faith; in the sapphire, the height of celestial hope; in the chalcedony, the flame of inner charity. In the emerald is expressed the strength of faith in adversity; in the sardonyx, the humility of the saints in spite of their virtues; in the sard, the venerable blood of the martyrs. In the chrysolite, indeed, is shown true spiritual preaching accompanied by miracles; in the beryl, the perfect operation of prophecy; in the topaz, the ardent contemplation of the prophecies. 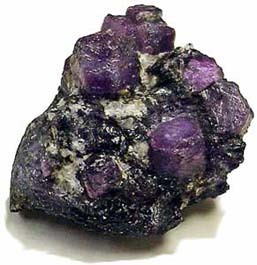 Lastly, in the chrysoprase is demonstrated the work of the blessed martyrs and their reward; in the hyacinth, the celestial rapture of the learned in their high thoughts and humble descent to human things out of regard for the weak; in the amethyst, the constant thought of the heavenly kingdom in humble souls. The Foundation Stones are discussed by George Frederick Kunz in The Curious Lore of Precious Stones, originally published in 1913. Although some of the terms used to describe the foundation stones are archaic, others are simply uncommon. Chalcedony, for example, is still used in jewelry.